With more than 35 years of experience in the wind power business, when you choose Siemens Gamesa, you’re choosing proven solutions and proven reliability. Whichever kind of wind turbine or service you require – we have what you need to maximize your return on investment. 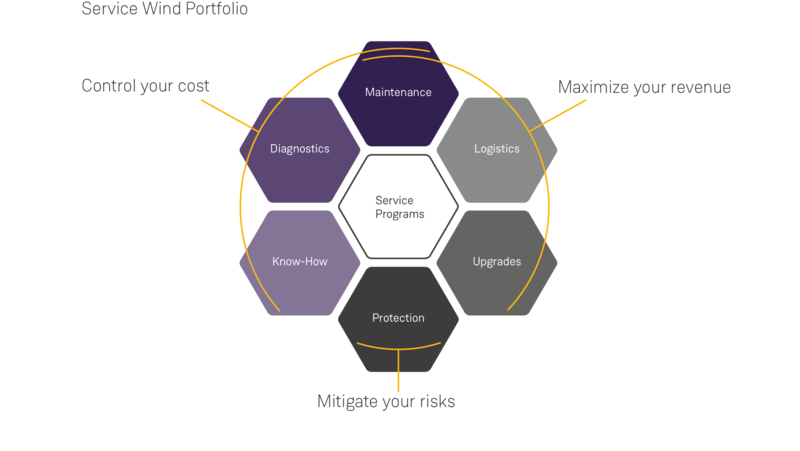 You have questions about our product portfolio and services? You are interested in partnering up with Siemens Gamesa? Please contact us. 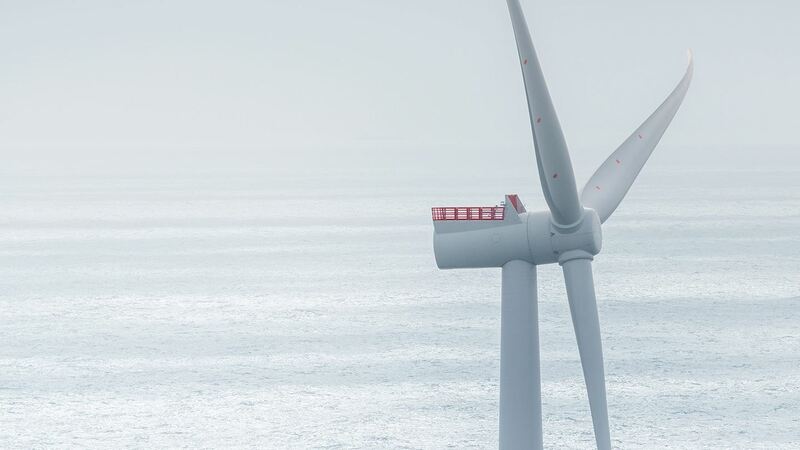 One of Siemens Gamesa’s biggest advantages is the fact that we are successfully and globally engaged in all areas of the wind power business: Onshore, Offshore and Service. With an optimized and streamlined catalogue, we offer the best product and service for each project and its varying site conditions. 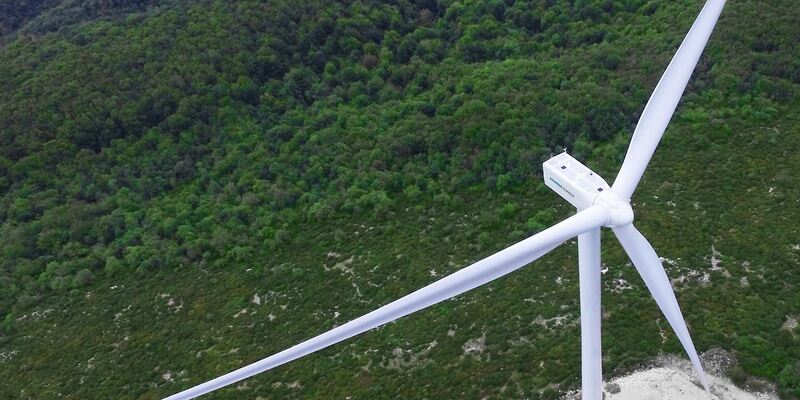 Continuous innovation, a dedication to technological excellence and solutions adapted to each project application are the pillars of our wind power portfolio, setting the foundation for Siemens Gamesa as a benchmark technologist. 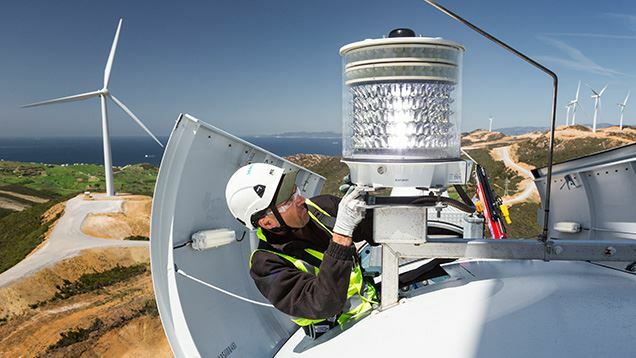 All this is backed by validated and recognized products, with more than 35 years of experience and more than 90 GW installed across the globe. 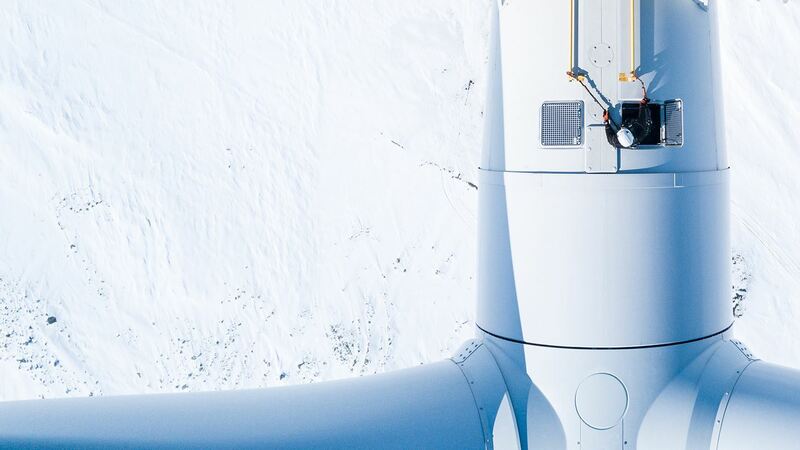 Our wind turbine and service portfolio creates value that reduces the Levelized Cost of Energy (LCoE), ensuring long-term returns for customers. 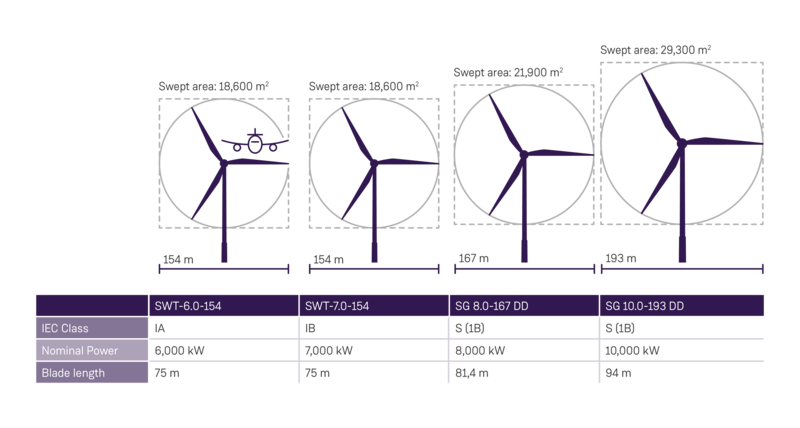 Every wind generation location creates particular challenges, which call for the right product choice. To meet your project’s special needs, we offer versatile solutions for onshore and offshore wind farms as well as comprehensive services. Our onshore approach is focused on geared technology, in which we have extensive knowledge and expertise. This proven combination of gearbox and generator is an evolutionary design for high-energy yield, reliability and robustness. Flexible power rating allows for maximum production at any site and in all wind conditions. For challenging offshore conditions you can rely on our gearless direct drive turbines. By replacing the gearbox, coupling, and high-speed generator with a low-speed permanent magnet generator, our direct drive technology offers simplicity combined with high efficiency. Every customer’s unique project needs call for a flexible service response. 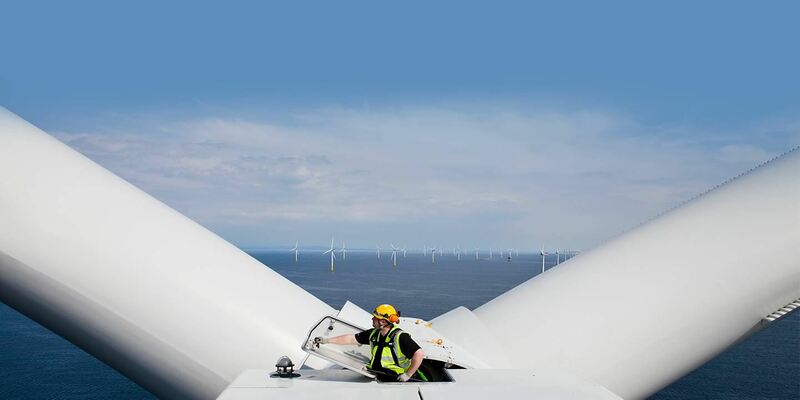 For this reason we offer comprehensive care and maintenance, which include smarter and more proactive services and products that optimize your wind power plants for energy output throughout your projects’ entire lifetime. This offshore wind turbine with a nominal power of 8 MW reduces the risk for demanding projects at sea. SWT-7.0-154 features proven technology and small internal upgrades to realize a higher energy output offshore.